Refresh Emergency Water Damaged Carpet Cleaning is a carpet water restoration and wet carpet repair company in Sydney. We restore wet carpet from flooding or storms, burst pipes and carpet burn marks. Our services include carpet repair patching, stretching and re-laying carpet, water removal from wet carpet or wooden floors and water damaged carpet repairs. Call us now on 0488 963 678. We also use truckmounts when needed. 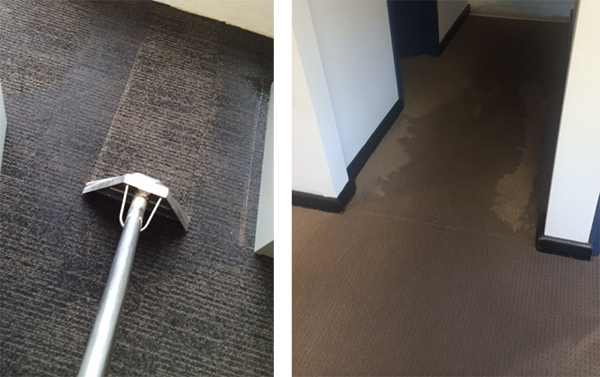 We have done emergency wet carpet water restoration for surgeries, NSW housing, strata, insurance companies, boat marinas, construction sites, offices, shops, banks, common areas, cars, gyms and residential premises. We offer first class professional carpet water extraction solutions in Sydney when it comes to carpet water damage, responding in less than one hour and offering same day drying services. We have a fast response and best solution carpet drying policy, for all your carpet water damaged carpet needs. We are 24/7 on call service for carpet water damage and carpet extraction drying services. We do carpet water damage from A to Z..
Our wet carpet repair and carpet water damage restoration services include moving furniture away from water damaged carpets, carpet water extraction, carpet drying and free carpet drying equipment rental and set up, antibacterial treatment and insurance reports. How much do you charge for water damaged carpet repairs? We can do package rates and hourly rates for water damaged carpets, call us for free quote. Do you accept credit cards, cash, direct deposit or cheque? How long until a technician arrives to my home or office? Our emergency technicians normally arrive within 45 minutes. Do I need to move furniture before the technician arrives? Yes, you can move the wooden furniture to prevent furniture stains. Do I need to change my underlay? It depends where the water has come from. If it’s black water or outdoors water, we would need to change the underlay. If it’s hot water system or dishwasher water, we don’t change the underlay, we dry it with our air dryers. Do you do carpet mould treatment? 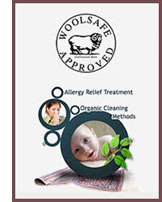 Yes we do apply carpet mould treatment and anti bacterial treatment. How long will it take to dry my wet or water damaged carpet? Water damage is a level 3 category. We minimise the time by sending more technicians to the site. Does my insurance cover me for flood damaged carpets? Yes if you have contents insurance, we look after all your insurance claims, reports and photos. Do your technicians come at night? Yes we have emergency wet carpet damage technicians 24/7 standing by. All our technicians are fully certified and insured. Will my water damaged wet carpets be restored as it was previously? Yes it will be restored to it’s previous condition. Do you dry and extract water from wooden floors and tiles? Yes, we cover all emergency floor care. Do you dry wet furniture? Yes we do dry wet furniture such as couches, upholstery, sofas, mattresses, rugs etc. Do you do moisture wall checks? Yes we do lay the carpet, re-stretch carpet and do final steam cleaning.